Edward “Eddie” Thornton Drew of Bishopville, Maryland died peacefully in his home on Wednesday, March 20, 2019. Edward was born on November 2, 1949 in Millville, Delaware to the late Orlando M., Sr. and Eleanor C. (Thornton) Drew. He received his formal education at William C. Jason Comprehensive High School in Georgetown, Delaware. Eddie met the love of his life, Gracie Ann Dennis, during his senior year of high school and on March 25, 1967 the two sealed their love and would have been married for 52 years. He had a 34 year career with the State of Maryland and Wicomico County Department of Corrections along with Homeland Security. He was preceded in death by his loving wife, Gracie Ann (Dennis) Drew. 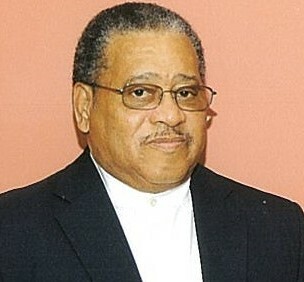 He leaves to cherish his memory, his son, Leonard E. “Lenny” Drew of Bishopville, MD; one grandson, Michael Drew of Princess Anne, MD; two Great Grandsons, Mahki and Roman Drew of Salisbury, MD; two sisters, Catherine Walters and Rev. C. Claudia (Morris) Waters both of Clarksville, DE; two brothers, Dr. Martin (Sharon) Drew of Smyrna, DE and James (Vanessa) Deloach of Millsboro, DE; one aunt Loretta Chaudry of Dover, DE; Mother and Father in law, Audrey and Leonard Smith of College Park, MD; one sister-in-law Cynthia Drew of Dover, DE; two brothers-in-law, Morrison (Beverly) Dennis and Monroe Dennis both of College Park, MD, and a host of nieces, nephews, cousins, and friends. A funeral service will be held at 12:00 PM on Monday, March 25, 2019 at Union Wesley Church in Clarksville, DE, where friends may call from 11 AM – 12 PM for viewing and visitation. Burial will follow in Evergreen Cemetery in Berlin, MD.